First up is a nice and easy downtrend play on EUR/GBP. The pair is currently knocking on a falling channel resistance just below the .7800 major psychological handle. What’s more, Stochastic is flashing an overbought signal. A short trade at current levels could get you a good reward-to-risk ratio especially if you aim for the channel support. Just make sure to make enough room for currency cross volatility! Not into trading crosses? 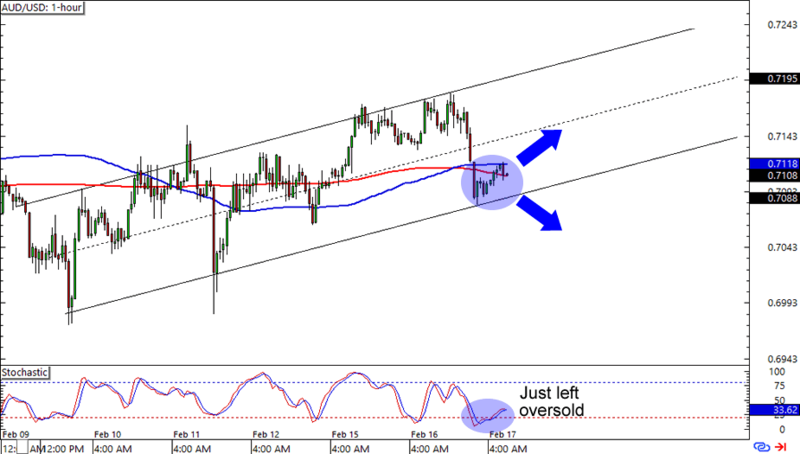 Check out this AUD/USD uptrend! The pair is lollygagging just above the .7100 psychological level, which is near a rising channel support on the 1-hour chart. Stochastic is also on the bulls’ side, as it has just left the oversold territory. Think the Aussie will soon see more gains against the Greenback? Read up on trading trending markets if you’re new to the biz! Retracement alert! 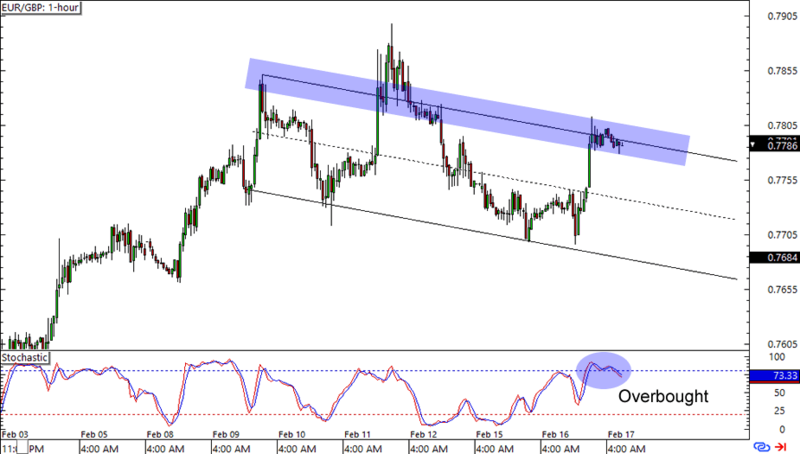 After hitting resistance at the 83.50 area, CAD/JPY has found a bit of support around the 82.00 levels. 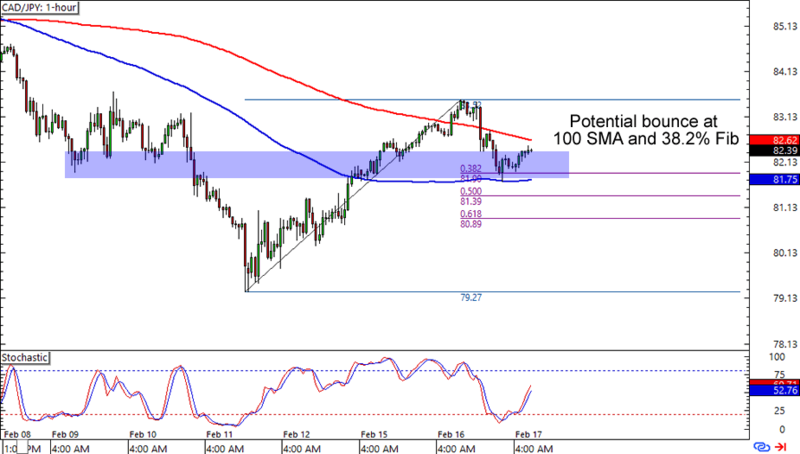 What makes this interesting is that it lines up with a 100 SMA and 38.2% Fib support on the 1-hour chart. Will this spell more gains for the Loonie, or is the pair just reacting to a previous support level that could still serve as resistance? Keep close tabs on this one, folks!